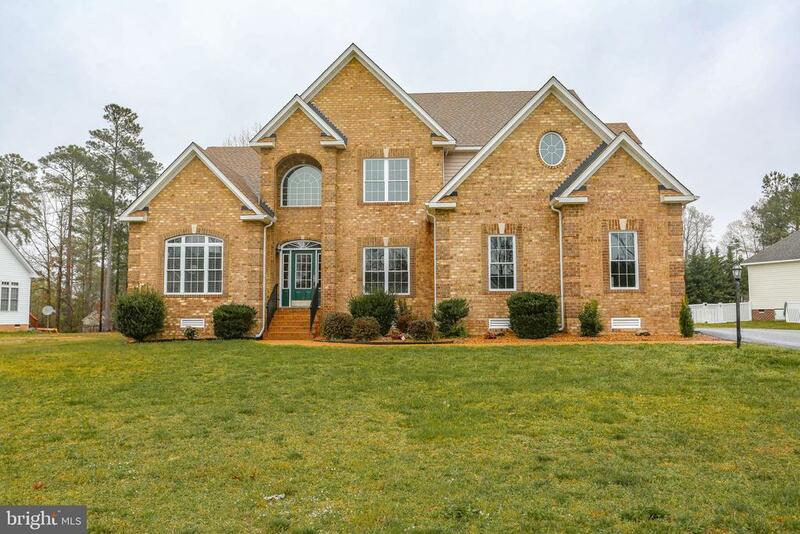 "This beautiful 5 bed 4 ~ bath home in the sought-after Stoney Glen South Sub-division is a must see. Completely remodeled from top to bottom. Whole house professionally painted and new carpet installed. Beautiful trim and crown molding throughout the house. Half acre lot has a huge front yard and a large deck overlooks a big backyard. Brand new stainless appliances in kitchen with beautiful granite countertops, large pantry and tile backsplash. Hardwood floors and stairs have been re-finished. New A/C unit. Master bedroom on main level has tray ceiling and master bath has a jacuzzi tub. Two- level grand family room is spacious and kitchen has a large eat-in area. An office with built-ins, dining room with chair rails, large laundry room and a finished two car garage make up rest of the main level. First floor has three large bedrooms, two full baths and large loft area that can be used for entertaining or recreation. The second floor comprising of finished attic space has an additional bedroom, full bath and a den. Come see this exquisite home that is ready for new owners."